The greatest networker in history was Jesus Christ. Beginning with a team of three close friends and a dozen followers, He created an organization that today has over 2 billion members. Jesus networked for a single purpose: to introduce people to the kingdom of God. No product, service, or personal friendship can meet the needs of people more completely than ushering them into God’s rule. Jesus used networking to deliver to humanity the highest level of service that anyone has ever offered. Regardless of your line of work, adopting the Jesus style of networking can take your life and career to a new level. By networking His way, you can achieve greater success in your career or professional life.You can enhance your personal life through building more and better friendships.You can find more significance in your life by ratcheting up the level and breadth of service you provide to others. Learning to network like Jesus will help you make the most of your life for God and for others. 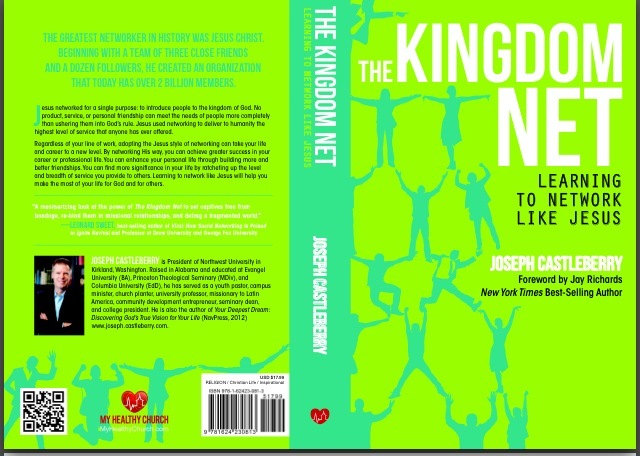 The Kingdom Net: Learning to Network Like Jesus is scheduled for release from My Healthy Church on August 1, 2013. Watch for it on Amazon.com.